RED DRAGON – RED CHINA – AGGRESSION IN WEST PHILIPPINE SEA. AGGRESSOR MUST BE QUARANTINED. At Special Frontier Force, the fact of Red China’s aggression in Tibet is recognized since 1950. Now, Red China’s aggression in West Philippine Sea is attracting media attention unlike Red China’s prolonged military occupation of Tibet. Aggressor nation must be quarantined by placing diplomatic and economic sanctions. Aggression has to be treated like a disease and aggressor has to be isolated from rest of the global community for aggression poses dangers to peaceful existence of all people. RED DRAGON – RED CHINA – AGGRESSION IN WEST PHILIPPINE SEA : PROTEST ON JULY 25, 2015. RAFAEL ALUNAN WITH MARTIN DINO BELLE ENRIQUEZ AND DANTE JIMENEZ. The West Philippine Sea Coalition has condemned China’s aggression in the West Philippine Sea in a protest rally held along Roxas Boulevard (fronting the West Philippine Sea) in Manila Saturday morning. The coalition members include the Volunteers Against Crime and Corruption (VACC), RAM, Anti-Drugs Advocate, Guardians, Motorcycle Philippines Federation, United Defense Manufacturing Corp., ProGun, SMX Phils and Predator Riders, among others. 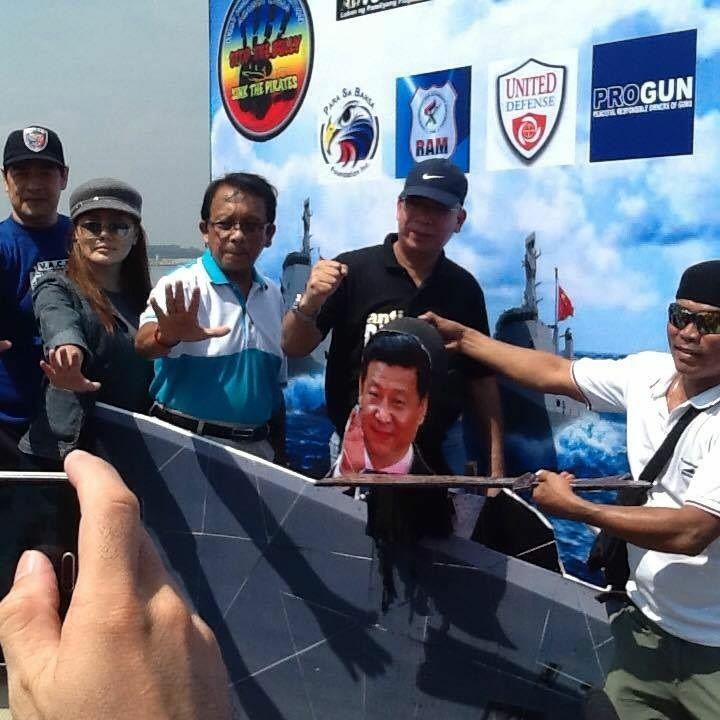 The event was the 3rd Annual Day of Protest against China’s bullying in the West Philippine Sea. Simultaneous protests have also been held in London, United States and other cities across the globe. Among others, the West Philippine Sea Coalition cited China’s territorial aggression when it reclaimed (and continues reclaim) reefs, shoals, islets, and other submerged rocks and corals for their exclusive use despite diplomatic intervention by the US, Japan and other ASEAN-member countries. On the environmental front, the coalition scored China for the massive destruction of the coral reefs in the disputed territories as a result of its ongoing reclamation and construction activities. The coalition also cited China’s invasion of the Scarborough Shoal, a rich fishing ground located within the 200-mile economic zone of the Philippines. China’s continued presence in what the Philippines claims as part of its territory had prevented hundreds of Filipino fishermen from traversing the rich fishing ground resulting in their family’s economic displacement. The coalition lambasted China for being a top source of illegal drugs that continues to be smuggled into the Philippines by Chinese drug lords. In their short talk during the rally, Top VACC officials Dante Jimenez and Martin Dino together with Anti-Drugs Advocate Jonathan Morales criticized China for having destroyed lives of hundreds of thousands of drug addiction victims in the country. Alunan and leaders of the coalition called on the public to support the case pending before the UN Arbitral Tribunal by educating the people on the merits of the case. At the same time, they also urged the public to call on the nation’s leaders to fast track the development of a credible external defense capability. Rep. Roilo Golez, who is supporting the coalition has called on the public to boycott made in China products especially garments and buy products that are made in the Philippines. Filipino communities across the US have also participated in the Anti-China protest like the one shown here from the Filipino group in Guam and the Marianas. The leaders of the West Philippine Sea Coalition have vowed to continue heightened protests against China’s aggression in the disputed territories through legal and peaceful means. As part of its campaign to educate the public on the country’s territorial claim, West Philippine Sea Coalition’s Belle Enriquez told Digital Journal that another forum will be held in late August to allow the public to view an ancient map showing the extent of the Philippine coastline. 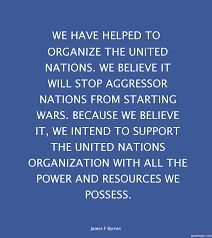 Red Dragon – Red China aggressor nation – United Nations must act to stop China’s Aggression in Southeast Asia.